Can one forget atrocities? Should one forgive abusers? Ought we not hope for the final reconciliation of all the wronged and all wrongdoers alike, even if it means spending eternity with perpetrators of evil? We live in an age when it is generally accepted that past wrongs -- genocides, terrorist attacks, bald personal injustices -- should be constantly remembered. But Miroslav Volf here proposes the radical idea that "letting go" of such memories -- after a certain point and under certain conditions -- may actually be the appropriate course of action. While agreeing with the claim that to remember a wrongdoing is to struggle against it, Volf notes that there are too many ways to remember wrongly, perpetuating the evil committed rather than guarding against it. In this way, the just sword of memory often severs the very good it seeks to defend. He argues that remembering rightly has implications not only for the individual but also for the wrongdoer and for the larger community. Volfs personal stories of persecution offer a compelling backdrop for his search for theological resources to make memories a wellspring of healing rather than a source of deepening pain and animosity. 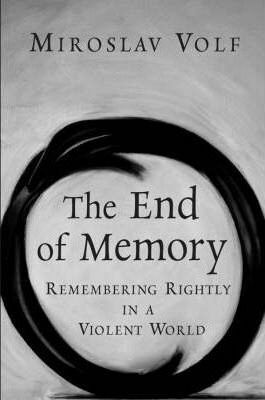 Controversial, thoughtful, and incisively reasoned, "The End of Memory" begins a conversation hard to ignore.